This retro and sparkle-y pink punch is a great beverage to serve at a cocktail party or outdoor bash. This was a hit at my recent 1960s cocktail party, and is definitely going to become one of my party staples. The recipe can also be cut to smaller amounts and served in a pitcher if you're just having a few friends over (this would be particularly fun for a Girl's Night, although the guys at the party really did love it too!). You'll notice that in the recipe I call for a large ice block in place of regular cubes. A large ice block is preferable to using ice cubes when chilling a punch since they dissolve much slower and will keep your punch from getting watered down. Don't worry about trying to find this at the grocery store; you can easily make an ice block at home by filling a medium-sized Tupperware container or decorative mold with filtered or bottled water and freezing. To release, run the bottom quickly under hot water for about 20 seconds. I sometimes like to pretty it up a bit by adding a handful of maraschino cherries, raspberries, or edible flowers to the ice block for decoration. 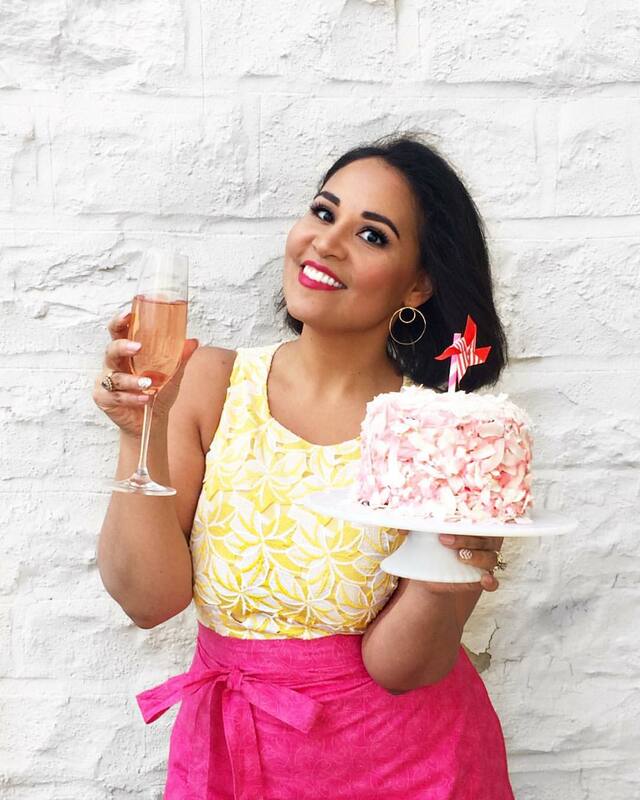 I'm going to (slowly, but surely) continue to post all the recipes from my retro/Mad Men cocktail party on the site, but if you would like any specific ones, feel free to email me to and give me a little nudge (my contact info is below). Combine the orange juice, lemon juice, gin, grenadine, and orange bitters in a large punch bowl. Add a large ice block to chill (see note below). Just before you are ready to serve, add a large ice block to chill and pour in 2 quarts of chilled soda water. Thank you! 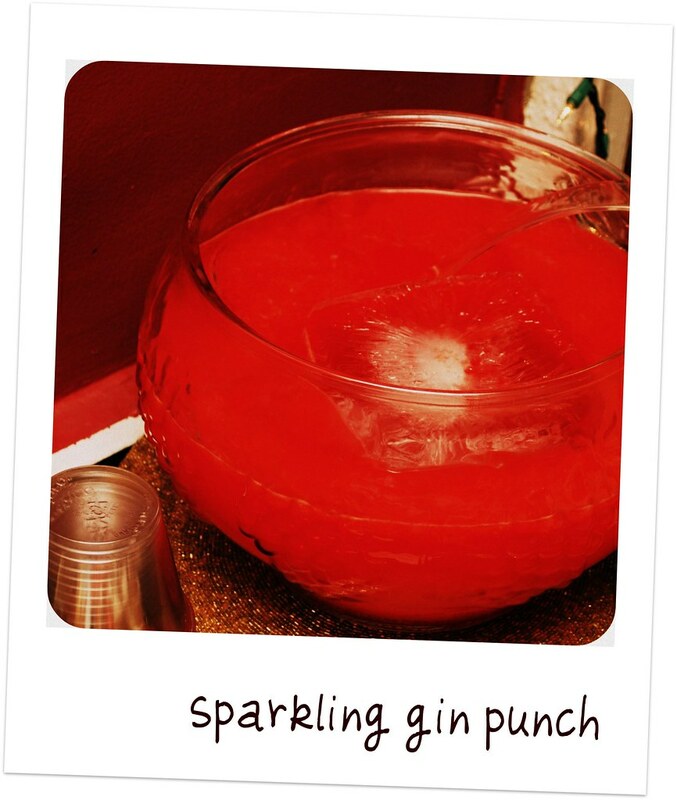 It definitely is a great party punch. I've recently become a huge gin fan and basically drink cocktails that are made with it exclusively, but I promise you this isn't one drink that's overly gin-y. The fresh juice really makes it and it's just kind of refreshing and delicious! Thanks for the info on ice blocks! I would have never thought of making ice blocks for drinks, but reading it here it makes so much sense. i bet that was a fabulous punch and the party looked like great fun! Happy New Year Alejandra! I loooooove gin. Will be trying this next weekend!! !